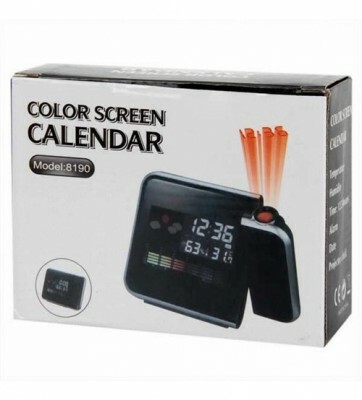 Color screen calendar projection clock USB & battery operated with warranty. **সুইচ অন করলে এটা LCD লাইট প্রজেকশনের মাধ্যমে সময় ও তারিখ দেখাবে. **ডিজিটাল এলার্ম ও snooze ফাংশন. **সেমি পাওয়ার সাপ্লাই: ২টি AAA ব্যাটারি-(সংযুক্ত নয়). •Good use on the desk or bedroom can see clearly in the dark when press the light button. 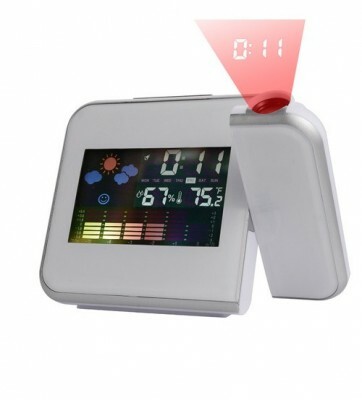 •Display: Max/Min temperature and humidity. Setting the time. The hour digits are blinking and can be set by pressing up or down for setting hours. Use the same way to set minute. Setting the alarm, Press the mode to view the alarm time. 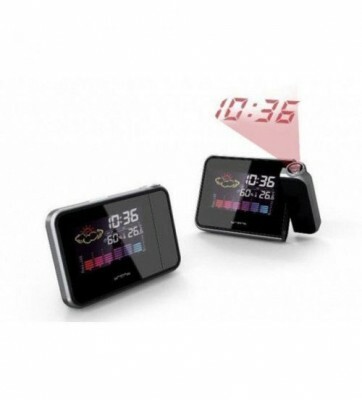 Press mode hold for 3 seconds to enter the alarm setting mode The hour digits are blinking and can be set by pressing up or down for setting hours.